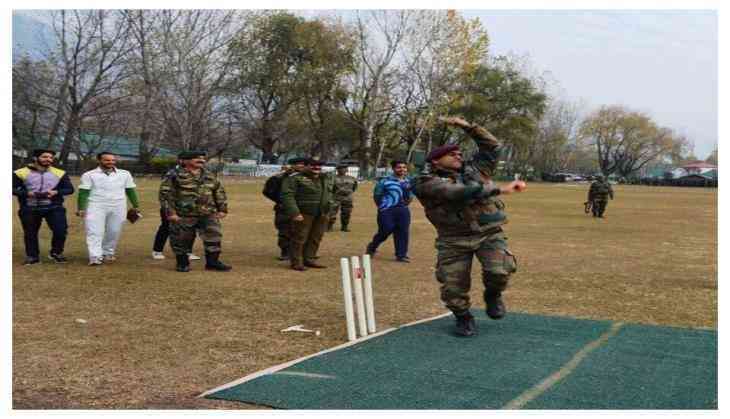 The former Indian captain, who retired from Test cricket Mahendra Singh Dhoni met with young cricketers in Uri city of Baramulla district in northern Kashmir on Saturday. The Indian wicket-keeper batsman has received the honorary title of Lieutenant Colonel in the Indian Army. He also gave persuasive speeches to these cricketers. Dhoni also asked young cricketers to pay attention to their fitness too. “I have played badminton, hockey as well as football. I have benefited from it because it increased my fitness. We used to play in a huge ground where seniors also used to play and till the time they finished, we used to run, which increased our fitness,” Dhoni is seen telling the cricketers in the video. Apart from Dhoni, former allrounder Kapil Dev and former batting maestro Sachin Tendulkar are two Indian players who have been awarded honorary degrees in the Armed Forces. Currently, Dhoni is not in the test squad as he had retired from Test cricket back in 2014 and will make his return in to the Indian side when they play Sri Lanka in a three-match ODI series from December 10 followed by a three-match T20I series. Indian economy has bottomed out. Really? READ NEXT >> Indian economy has bottomed out. Really?